A charming venue rich in history, Moore & Moore offers a unique atmosphere for your special day. Casual yet elegant, with a backdrop of cultural heritage and vintage decor, you will truly have an unforgettable experience. 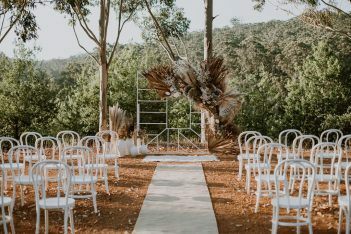 We cater for all styles and sizes of weddings, from cocktail receptions to three-course sit down dinners; we offer different styling options for your Ceremony too. Our hidden courtyard and candle-lit rooms combine to form a one-of-a-kind venue in the heart of vibrant Fremantle. We apply our Moore & Moore food philosophy to our delicious cocktail and sit-down menus. We pride ourself on being able to accommodate any dietary requirements. Under candle light, enjoy the delicious wholesome food and watch as love happens. Simon has owned the iconic Moore and Moore for over a decade he is passionate about local, wild and organic food that is nutritious and healthy. He prides himself on using fresh ingredients and is passionate about accommodating any dietary requirements from gluten intolerant to other allergies, vegetarians and vegans. Simon is strongly aware of the environment and reducing our carbon foot print so works hard to limit waste and promotes recycling and reusable items from our furniture to our packaging! The venue has a quirky, eclectic charm, indicative of Simon’s love for style!